I was so excited, I recently had the opportunity to review some products from the Canadian based company Face Atelier. This is one of the makeup lines that has been hitting the IMATS and Makeup Shows and people have been buzzing about it. 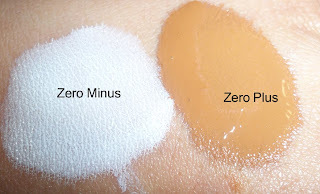 I first heard about this foundation from the KJ Bennett (lead artist for Makeup Forever) website www.inmykit.com where as a celebrity makeup artist, he gives a breakdown of his favorite products in every category. I refer to this site many times because I really trust his opinion as an amazing makeup artist. He also praises both drug store as well as high end department store brands. He praised their foundation as well as their lip glaze. I want to try so many products from Face Atelier but I got a little sampling of their line to test out. This product is a liquid foundation that contains silicone. It is highly pigmented and can be worn sheered out with a moisturizer for light coverage, or built to almost full coverage. Since it contains silicone, it has an airbrushed finish that doesn't require primer or powder to set. The silicone fills in the lines and pores to give a flawless finish. I love how they offer these in full size bottles at $45 as well as the pro bottles at $32. If you're a makeup artist, they sell the pro size version in sets that fit perfectly in your kit since they are smaller and have plastic packaging. I used to not like using liquid foundations in my kit because they are too bulky and cumbersome, but Face Atelier has solved this problem by their Makeup Artist geared pro sizes. zero plus and zero minus foundation adjustors - great idea! Here is a shot of zero plus and zero minus. This was an ingenious product idea. You use one drop of each to lighten or darken an existing shade. No worries about not finding a color match if you have these foundation adjusters. Great for makeup artist kits or for those of you who have problems maintaining your foundation shade in summer and winter months. I was also lucky enough to test out their amazing lip glazes at $20. KJ Bennett mentioned these and said that the #7 shade looks good on everyone! 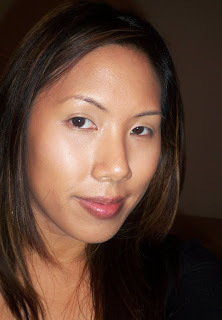 Here I am wearing the the Foundation in #7 all over as well as zero plus and zero minus as a contour and highlight. I'm also rocking the lip glaze in peach - great everyday color! P.S. if you're a makeup artist, you can apply for the Face Atlier pro discount to get 40% off. It's actually a really simple proces. Go get it! FTC Disclosure: These products were sent to me at no charge by the company. I am not affiliated with the company. No monetary compensation was received for this video review. This is an honest,unbiased review. Thx for the review Ren!! I've using FA for a year now. I love it! it is excellent for brides. they do offer sample of their products for a $1. that is how i tried the product before making a hefty investment. I loved your article, it has great information! I think you and your readers might be interested in another article I found, about beauty and dry eyes. i have only read about this brand during my birthday giveaway. and now i see you have the foundation already. this is so nic eon you. i wish we had it. agreed! I absolutely love these foundations. Kit essential! I heard about them a long time ago but I have always been leery of silicone products because smashbox primer broke me out like no other. I wonder if i should give this a try. I have all the whole collection in their pro size bottles. 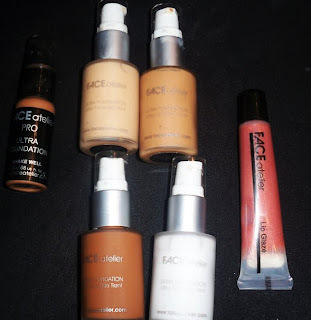 I love these foundations because it is silicone based. It makes the skin look amazing and sits on the skin without settling into fine lines or pores. Thanks for nice article. Your blog is more important and informative. I really like your lists. All the tricks are very helpful in a very efficient way. Thanks for sharing this.